We cater for all academic requirements. Standard turnaround is 5 working days. (03) 9428 5829 to discuss your predicament. Soft cover or deluxe leather bindings available upon request. 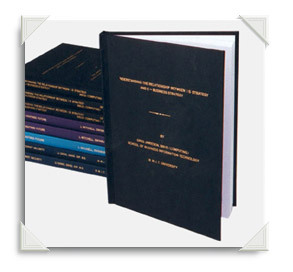 Thesis prices include titling on spine and/or front cover. Prices as of April 1 2019.